Meagan's Science Minute: What makes soda fizz? Double, double toil and trouble, what's in the magic behind soda? 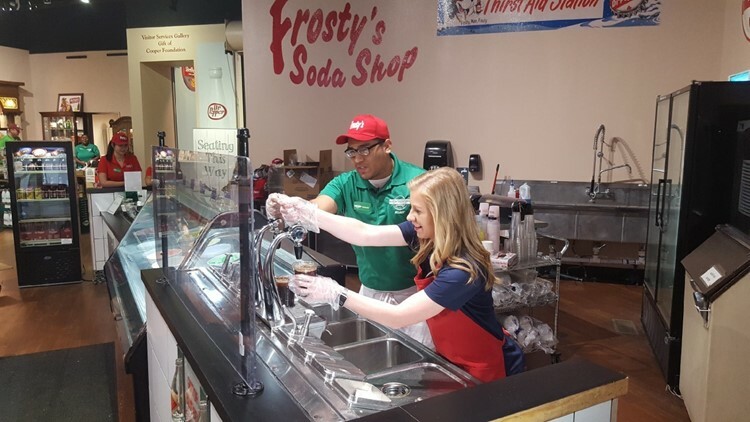 Meteorologist Meagan Massey dives into the science of the fizz. 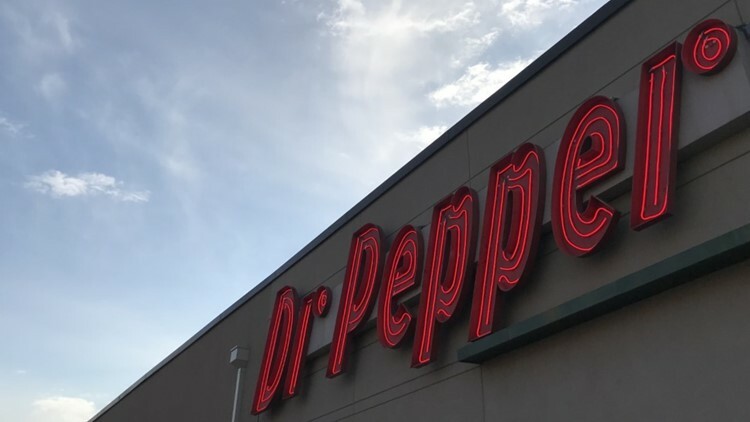 WACO, Texas — This week it’s all about Dr. Pepper, the “King of Beverages”. The Texas staple, created in Waco, has 23 fruity flavors that give Dr. Pepper its unique taste. Young pharmacist, Charles Alderton, created Dr. Pepper in Waco at Morrison’s Old Corner Drug Store. The major soft drink was manufactured and sold a year before Coca Cola in 1885. 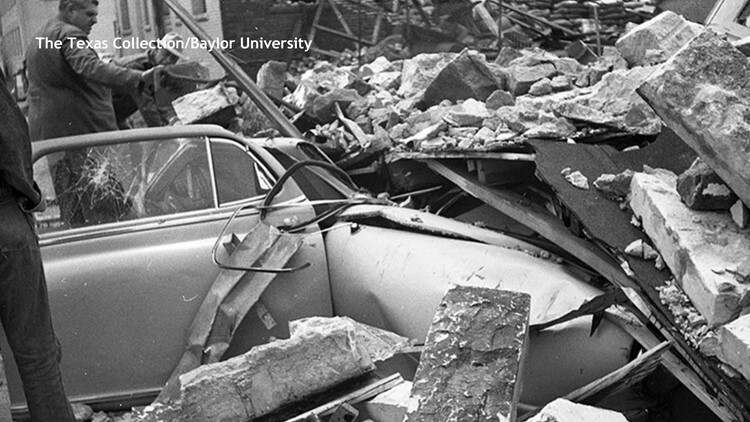 Even though the old bottling warehouse was struck by the 1953 Waco tornado, it still stands next to the museum. 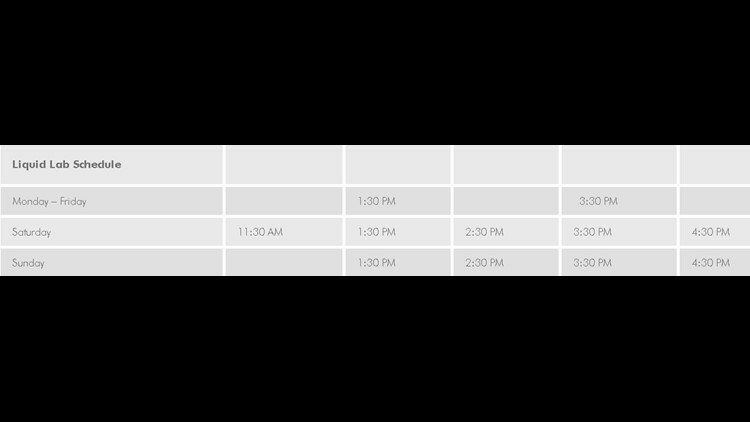 Both buildings are open for public tours and when guests pay for admission they receive a free Dr. Pepper. From pictures on the walls to a scare from the 1953 Waco tornado, each building holds rich local history. The Dr. Pepper Museum added a Liquid Laboratory in 2013 that features many soft drink science experiments. Demonstrations are shown to the public weekdays and weekends. Demos include “Smell – a – Pepper”, “Behind the Bubbles”, “Fantastic Flavors”, and “Recipe for Delicious”. 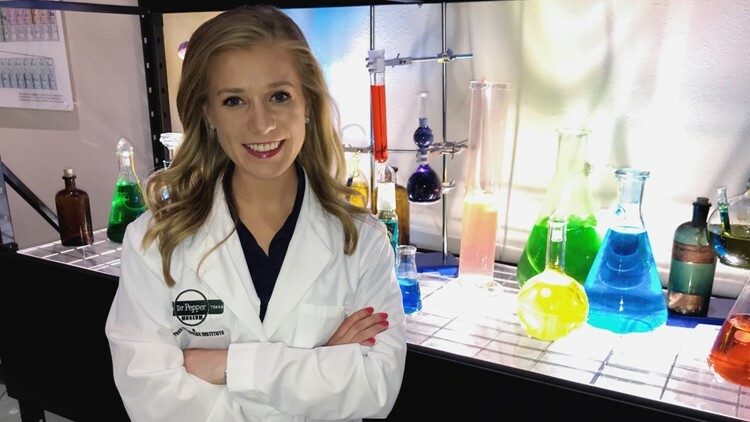 Meteorologist Meagan Massey buttoned up her lab coat in the Liquid Lab to explore the science behind bubbles in this week’s science minute. 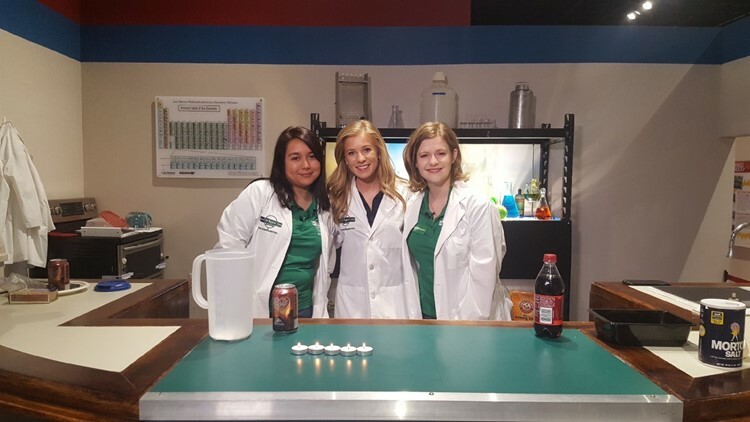 She participated in science experiments with Rachel Moore and Stephanie Martinez, who work at the Dr. Pepper Museum. “The Carbon Dioxide Fire Extinguisher” was the first experiment in the lab. It required lit candles, baking soda at the bottom of a pitcher, and a can of Dr. Pepper (of course). You can catch the full the reaction by watching Meagan’s Science Minute, but essentially the carbon dioxide suffocated each flame without pouring any Dr. Pepper on the candle. Each experiment explained carbon dioxide and this colorless gas is essential in soft drinks across the nation. The “fsssst” you hear when you open a can of Dr. Pepper are several carbon dioxide molecules rushing out of the tiny space they have been trapped in. Carbon dioxide consists of one carbon atom and two hydrogen atoms. Without CO2, our Dr. Pepper would be flat and let's face it, it just wouldn’t taste all that good without the fizz. Have an idea for Meagan’s Science Minute? Reach out to us! Email Meagan Massey. RELATED: Inner Space Cavern in Georgetown is a Central Texas destination full of natural beauty and history.